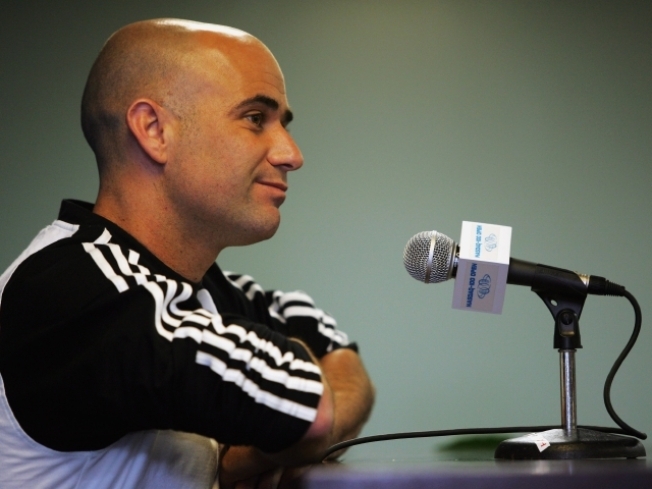 Andre Agassi will speak in the North Bay Thursday night. Three years after selling his Marin estate for $20 million, Andre Agassi returns to the Bay Area. And he isn't coming to town jump in on the depressed housing market. Instead the tennis great is returning to tell fans everything about everything that went wrong with his life. Aggasi will appear at the Book Passage in Corte Madera at 7:30 p.m. on Thursday to push his new autobiography that has been raising eyebrows across the entertainment and tennis world. In the book, Aggasi details too much about his life including his brief fling with Barbra Streisand, losing his temper when he watched his then wife Brook Shields film an episode of "Friends," his wig wearing days and his short relationship with crystal meth.